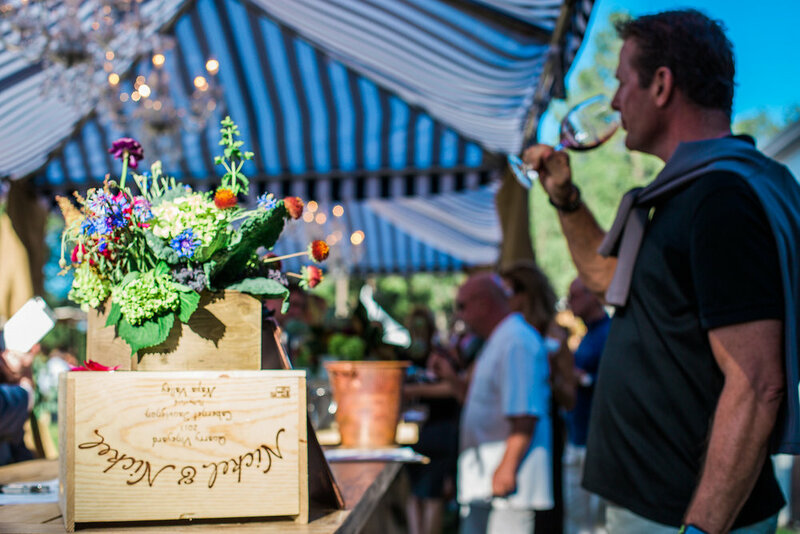 I have had the wonderful opportunity to work with Forest Highlands on their annual food and wine pairing event that benefits the Forest Highlands Foundation for the past 6 years. This years theme was wine country meets the mountains. We incorporated a navy and white striped canopy with chandeliers and wood bars. Centerpieces included florals with kale, grapes and ivy. 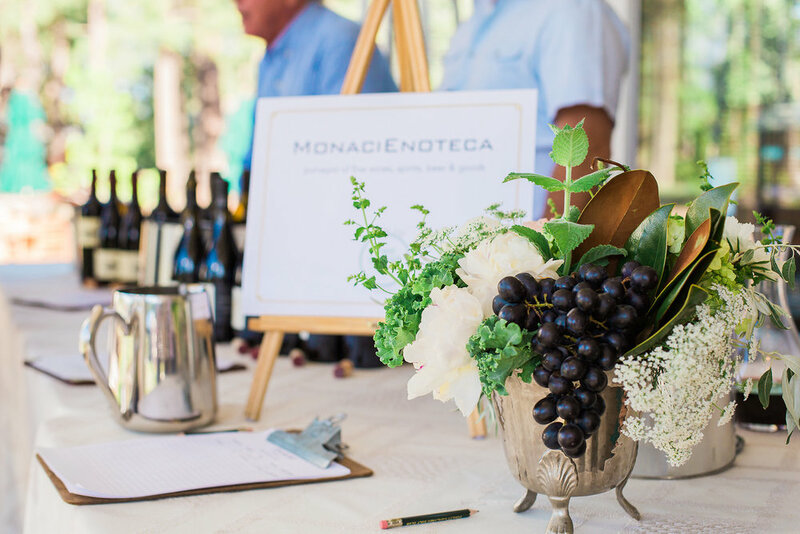 Wine barrels were used as high top tables, a huge charcuterie display, seafood stations, multiple wine vendors and a dessert station made for a fun and festive event.